Critical Conversations will act as a catalyst for creative discourse supporting fluid interchange between artists, communities and place. This explorative dialogical series is taking place with a wide range of partners drawn from the cultural, community and voluntary sectors. It aims to solicit input from an unusually broad set of perspectives, building on existing partnerships and creating new collaborative networks. 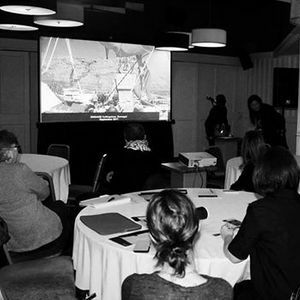 The programme is developed in collaboration with the Inishowen Development Partnership (Media Literacy for Migrant Women /Syrian Refugee Resettlement Programme) and Voluntary Arts Ireland. Our world is in the grip of a series of interrelated crises, including Brexit, many of which involve the creation, collapse and reconstitution of borders and boundaries – territorial, socio-spatial and political. Critical Conversations is also inspired by the fact that radio waves can freely cross borders while territories on either side may remain restricted. 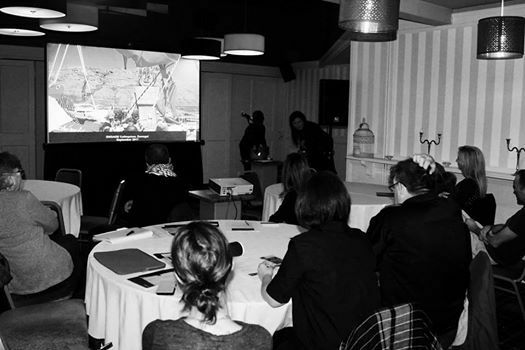 Critical Conversations will culminate in two public discussion forums alongside a North-55 film screening programme. This will encourage new coalitions, thus creating a cultural corridor where innovative ideas can be articulated across the region. Oral testimonies recording the voices of (50) people will be used to create a new soundwork entitled FREQUENCIES which will be broadcast by amateur radio groups and on a wide range of social media platforms. 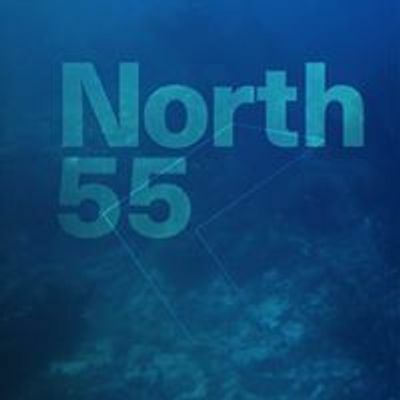 North-55 are curious about the various interests that converge when an invitation is extended to represent different 'visions' about collaborative art in a border region engaging with artists, cultural practitioners and community groups from diverse backgrounds. 11.30 am. B-239 (2009) film screening, collaborative film that transverses the border. 12.00 am. In the context of Brexit, this discussion will gain insight into borders globally and involve diverse voices from across the community including women who are new migrants/refugees. 2.00 pm. LATITUDE (2017) film screening, traces socio-cultural dividing lines cross-border rivers. 12.00 am. In the context of Brexit, this discussion will gain insight into the lived experiences and current realities of communities living in evolving post-conflict society. With a view to capturing the cultural and psychological borders which people encounter on a daily basis. For booking or enquiries please contact Kate O'Callaghan, Programme & Event Co-Ordinator.